Our range of Estate Agent Light Panels are incredibly functional, stylish and popular! With a sleek 14mm profile and evenly distributed light this window display looks great. Not only this but its also double sided, and the low voltage LED bulbs have a battery life of up to 11 years (100,000 hours) meaning you get an useful, stylish and long lasting display all for an affordable price! Comes with all cables and fixings you need as well as 3 Double A4 panels. 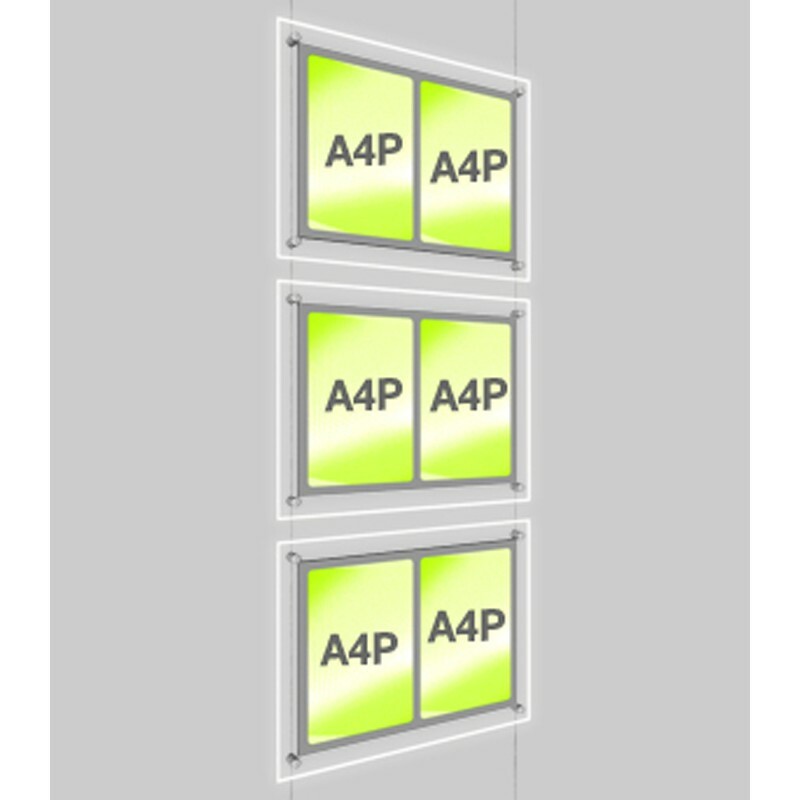 Keeping your promotional materials easily visible day and night, this estate agent light panel is an easy way to creating a striking window display that allows passers by to browse your posters 24/7. Instantly eye catching, the illuminated light pockets present your graphics in a professional and striking way, attracting attention and encouraging customer engagement even when you’re closed for the day. 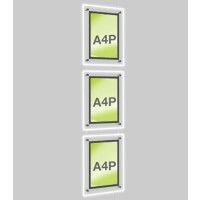 The light panel display kit includes floor to ceiling cables, which hang taut and support 3 x double A4 light panels with 12 secure clamps. The display is double sided, allowing you to include 6 A4 graphic or information sheets on each side, all with a portrait orientation. 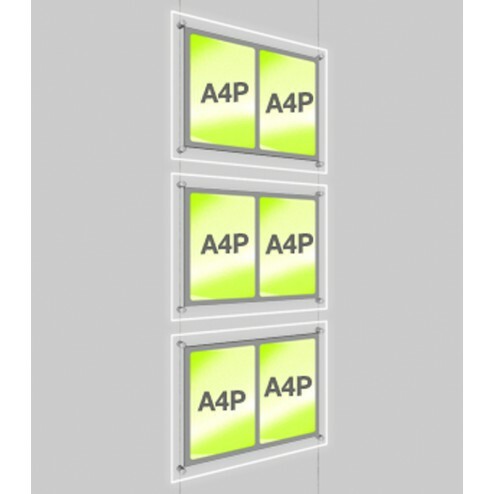 Neatly framing your marketing materials, the multi pocket LED poster display gently illuminates your window and allows browsing from the pavement side, but also enables you to advertise properties to customers and visitors inside your premises. Straightforward to install, the cable display system is supplied with a transformer, and the low voltage bulbs are economical to run on gloomy winter days or throughout dark nights. 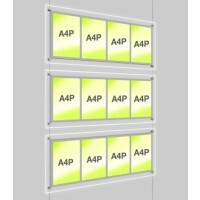 The perfect display solution for estate agent and lettings agents, or for spas, salons or retail shop windows, the posters can be easily updated as necessary without needing to remove the cables – simply slip the information sheet out of the clear pocket and replace it for a fresh display. A great way to maximise the potential of your window display, the cable system is an attractive and effective marketing solution for any high street business.